Copper in hydrochloric acid. 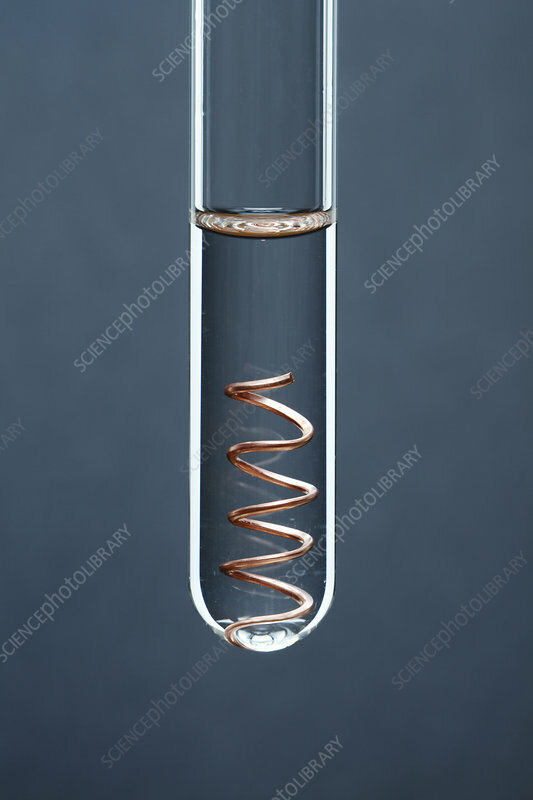 A coil of copper is placed in a test tube with 1M solution of hydrochloric acid at room temperature. No reaction occurs.